Some interesting news stories that caught my eye recently… Enjoy! A selection of fun stuff and interesting new stories from the last few weeks. Merry Christmas everyone! Foreign investors might not be able to enter India’s retail sector after all to relief of small business owners http://thetim.es/vqRuU5 – heartening follow up to an article I blogged about last time. 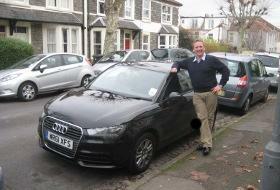 http://www.peoplefund.it = an awesome idea! A website from the RiverCottage bods where people with green projects can raise awareness and funds. I’ll be back with another round up in 2 weeks time. Have a happy and healthy December until then! Visit the SHE Show to hear Amy outline the key tools you can use to set your organisation on to a more successful and sustainable path while getting ahead in your career too. Find out more here. Want some top tips on how to green your company and get ahead in your career, and hear the story behind Climb the Green Ladder? Then check out this interview with Shari and I on Good Planet Radio, which was broadcast on Thurs 15 April. Podcast summary: After conducting research with over 80 sustainability specialists Amy Fetzer and Shari Aaron have gathered the common 6 principles that all successful sustainability strategies use. These strategies are available in great detail in their new book: “Climb The Green Ladder: Make Your Company and Career More Sustainable”. Tune to hear about a preview of the strategies as well as Amy and Shari’s experiences and advice on how to make your company more sustainable. New York book launch was a great success! I am delighted to report that the NYC launch event, 21 of January, was very exciting and a tremendous success! 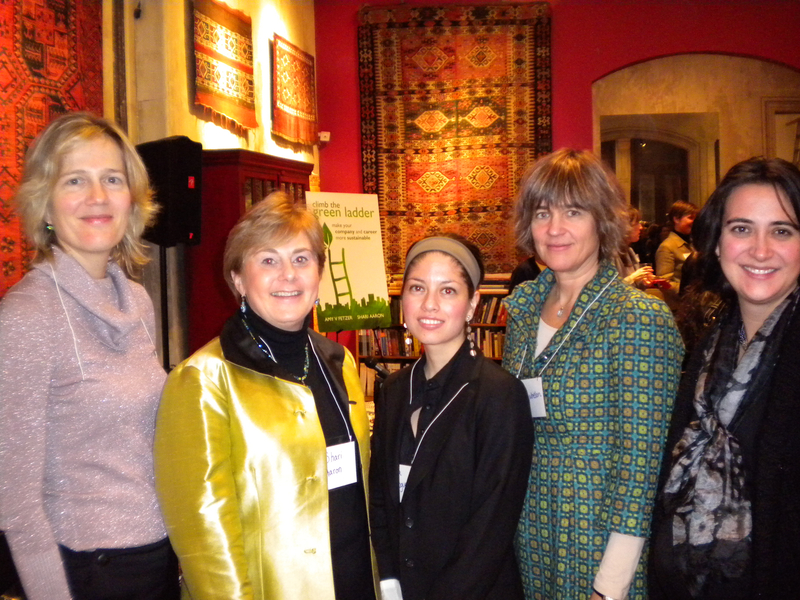 This event focused on how sustainability provides a leadership advantage for women. The conversation was led by senior level women who have made tremendous strides in spearheading effective sustainability programs. Speakers included (as pictured left to right), Eleni Reed, Director, Sustainability Strategies, Cushman & Wakefield, Inc., and me, Shari Aaron, Co-Author Climb the Green Ladder, Natalia Oberti Noguera, Executive Director of NY Women Social Entrepreneurs, Tensie Whelan, President, Rainforest Alliance and Maria Figueroa Kupcu, Director, Corporate Responsibility and Sustainability Practice, Brunswick Group. A special thanks to Double Knot for hosting such a lively event! We have such a great week talking about the book and getting people’s feedback. Many thanks to those who participated in our events and we look forward to seeing more of you at other events soon!